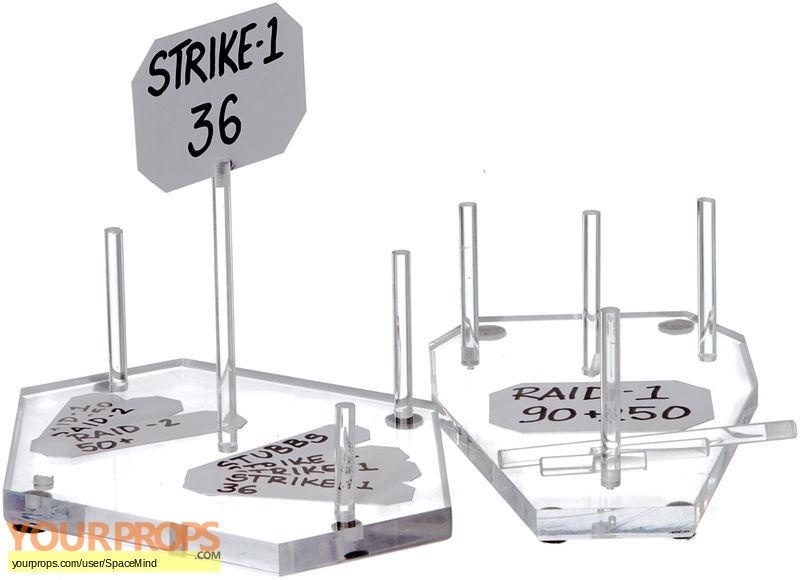 These clear stands were use to hold miniature models on the war room table aboard the Galactica in the first season episode "The Hand Of God". This set includes small tags that were used for strategy moves. Set of two plexiglass stands with pegs sticking out of the top of them. Items measure 8" x 4.5" and 7.5" x 6.5".